Remember to check the classes home page to see all the competitions we enter. Well done to the Fire class boys football team in the Doncaster EFL cup. The boys sadly missed out on the quarter finals by the slimmest margin but played superbly and showed their quality throughout. Well done boys. Well done to the hockey A team who won the cluster competition and remained undefeated on the night. Also well done to the B team who came 7th overall with a couple of spirited victories especially after we had to call up two very late replacements for the team. Some of our KS1 children took part in an inter school multi skills competition organised by Mr Nicholls from Xcite fitness. They all had a fantastic time and are pictured below receiving their certificates. Well done everyone! Congratulations to the table tennis team who finished second in the cluster competition. The boys and girls just missed out on victory by the tightest of margins. Nevertheless, the children were superb on the table and off. Mr Nicholls recently held a curling competition in school. Congratulations to the Yellow Team who were our winners, but well done to everyone for taking part. Well done to the girls at cluster football competition. The girls came second on the night, conceding only one goal all night. The girls were a true credit to themselves and the school. We are all proud of you. Well done to the boys football team who finished third in the Snaith Cluster competition. The boys won the first two games but sadly lost their last two and as such missed out on the next round by only a few points. Nevertheless, they didn't give up and but for a small piece of luck, they would have qualified. Well done to all the children who competed in the cross country event and well done to Thomas who won his event and progressed to the next round. Well done to the Water Class dodge ball team at the Level two finals. The team finished 3rd on the evening losing only two games and winning the other four. It was an excellent evening and the team were a credit to the school. 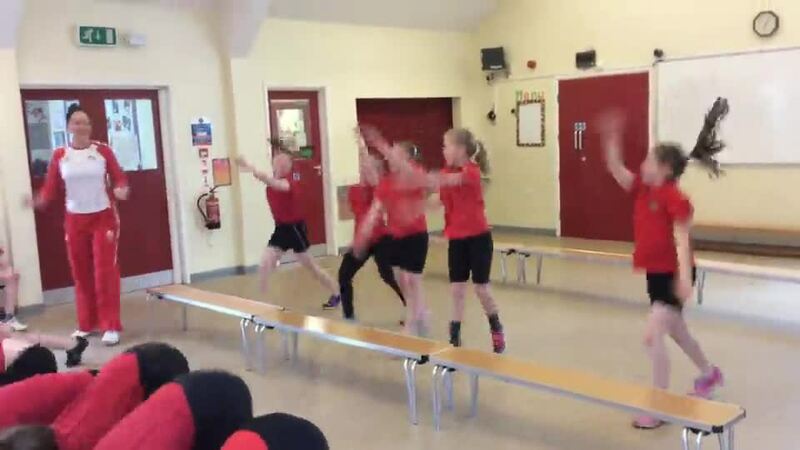 Well done to the Water Class bench ball team in the recent cluster event. Although they did not win, they performed well and were terribly unlucky. Well done to the Water Class dodge ball team who won the cluster competition last night. The children played 15 games in 40 minutes, only losing one game. The children were superb and a credit to the school. The children move on to the next round later in the year. Congratulations to all. Well done to Fire and Water Class at the indoor athletics event. Both teams came second in their age groups. It was a brilliant afternoon and evening. The children were superb and a real credit to the school. Well done to the Fire Class table tennis team at the local cluster competition. Everyone played at least 6 matches which helped the team to finish 4th in the competition. Well done to the two Uni Hoc teams which competed at the cluster event. The teams finished 3rd and 5th respectfully. Sadly for team A they missed the final by a whisper going down 2-1 in the semi finals. Nevertheless, both teams played superbly. Well done to the boys in the EFL Cup. Although the boys missed out on the next round by finishing second in their group, they turned around a couple of disappointing performances to finish strongly on the night. Well done boys. Well done to girls football team who came second in the cluster competition. The brave girls were undefeated at the competition with two wins and two draws. The girls were superb throughout with everyone playing with courage and commitment. Sadly the girls lost out by a point from qualifying for the next round however, they did our school proud. Well played to the boys football team. After starting the competition with back to back wins, the boys just missed out on qualifying for the next round with a hard fought defeat in their last game. Nevertheless the boys played their hearts out and were a credit to the school. Well done to the competitors in the cross country cluster event. Super running by all! Congratulations to Freddie and Summer who will be representing the school at the next level. If your child would like to join a local sports club please download this document for all the accredited clubs in the Humber area. Here are some highlights of this term so far!!!!!!! Super work from our swim team at the East Ridings Final. The team, who were 3 swimmers down from a full team swam their heart out for a top ten finish. Super Swimming! The children were put through their paces by ex Badminton Star Jenny Wellwork. What a great afternoon and lots of money raised for the school's PE fund. Here are a few highlights of the first half term. This document is a list of all the accredited clubs in the East Riding. please scan the document to find any sports you are interested in and the clubs you can join to enjoy them. All are safe and have been checked and verified by the local council. Tennis finals at Hull, the team came a brilliant 3rd place. Tri golf at Snaith Primary School. Has fun at our fitness boot camp! Well done to the Water class tennis team and their 4th place finish at the Humberside finals in Hull. The children all played eight games each and won plenty during the morning. Well done our future Wimbledon champs! Well done to the swimming team who came 7th in the East Riding Finals. Also well done to Thomas, Matthew and Jacob for making individual finals as well.This was a brilliant performance as we were by far the smallest school there. Well done everyone. We have had lots of fun so far in sports. Here are some of the recent events we have entered this year.